It’s possibly the most over-used gag on family sit-coms spanning the TV airwaves from the days of Leave it to Beaver till our own 8 Simple Rules: a parent tries to lay down a message of authority to a errant child, and the other parent uses the opportunity to joke about the parent’s own childishness. The reason we laugh at this joke over and over is that it reflects the tension we often feel in our own family situations. But don’t laugh to hard, because the issue reflected by the joke can be one of the most serious threats to successful parenting. Family research strongly supports Megan’s view that these kinds of communication messages have a negative impact on the entire family system. Jouriles and Murphy’s (1991) study of 87 families noted a connection between acting-out behavior in boys and parental disagreement. Other researchers have found similar results. The issue is not that parents have disagreements about child-rearing, it is how those disagreements are expressed in front of the children. A Sign of a Deeper Communication Issue? Parents disagree, and this is a normal experience in family relationships. It is the style and intensity of these disagreements that tells us whether or not there is a more serious problem. When the style of disagreements undermines the other parent’s efforts, or the intensity is extreme and creates strong family worry or tensions, then the clues are there that parents need to deal with the situation. What are some common underlying causes of problem communication between parents? Unexpressed hostility. Tension naturally builds up in a marital relationship, but some couples don’t have the tools or skills to relieve that tension through normal communication. Some parents have extra stress and tension from parenting a child with developmental or behavioral differences. When tension is unexpressed, it doesn’t just go away, even though we often tell ourselves we can just forget about it. Instead, it often shows up at times when the other parent might need support, for example, when he or she needs the backing of another parent. Unexpressed resentment in this situation turns into a put-down or sabotaging the parent’s effort to deal with a child’s issue. Need for Control. In some situations, we find that parents use disagreement or parenting communication to exercise control over the other parent. Mothers or fathers with a high need for control may have had experiences in their past that cause them to feel extremely anxious if they are not in control. Instead of facing these feelings, a parent may try to control everyone around them. As a result, children do not experience their parents as cooperative, and often see one parent as the “boss” and the other parent as part of the child group. Misunderstanding the other parent’s intentions. Sometimes the cause of confused parenting signals comes simply from parent not understanding the rationale of the other parent. In most situations, parents weigh factors they think are most important in decision making, but since we aren’t mind readers, the other parent may not see the same set of factors. 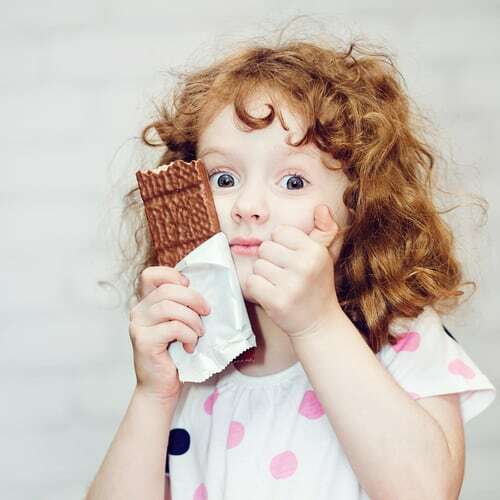 Mix in the reality that there is often little time to discuss parent reactions in the moments following a child’s behavior, and confusion over the other parent’s motivations is the result. An Emotionally Harmful Family Environment. In some situations, the family environment seems emotionally dangerous or hurtful to children. Families coping with violence, verbal tirades and screaming matches, or drugs and alcohol will likely lead to parents going “behind the scenes” to try to repair damage that they perceive the other parent has caused. Parents sometimes fall back to this strategy either when they feel they, themselves, are trapped in the situation or are unwilling to break up the family situation to deal with the harmful behavior. How Many Ways are there to Undermine A Co-Parent? Playing the Trump Card – In a card game, the trump player will slam down a card that beats all the other cards. In parenting, this person will hijack a parenting discussion or discipline situation from the other parent. Sometimes this is done when the other person makes him or herself the new authority figure in the discussion by yelling or handing out a punishment. In other situations, the trump player might complain that the other parent is being childish, or might “demote” the other parent to child status. It is important for parents to show they are on the same page during a discipline situation, but this parent will undermine the other parent’s position of strength. Treat Sneaker – Under the misguided feeling that the other parent is making the child suffer emotionally, the treat sneaker will offer the child some kind of relief during a difficult situation. Treats don’t have to be food, parents can sneak in other ways too, for example, by allowing a child to use the computer when he or she has been temporarily banned, or by giving the child attention and comfort in the middle of a time out. Treat sneakers’ real motivation is to reduce their own feelings of discomfort and anxiety about the child’s situation. Parent Profiler – The parent profiler will have private conversations with kids about the other parent, either directly complaining about the other parent or in less obvious ways. “I know its hard when she’s like this” a profiling parent might say, “Its hard for me too when she’s moody.” This parenting style keeps a parent from having to directly deal with the other parent about communication or behavior that is bothering him or her. In situations where there is truly dangerous parent behavior, the profiler will communicate this way with the child rather than take that frightening step of thinking about leaving the situation. Alienator – This type of communication involves rallying other people in the family to speak up against a parent who is trying to assert authority or parenting status. At the dinner table, an alienator might prompt a child to disagree with the other parent’s viewpoint. Sometimes the alienator will subtly encourage all the children to take sides against the other parent. Since the alienator is usually in a position of easing the authority in the situation, the children will naturally align with that parent. Work out the essentials beforehand – Compare lists of what child behaviors are definite “no no’s” and which deserve a lighter consequence. Talk about touchy but important topics such as spanking or dealing with specifics such as when a child wets the bed. Each parent should balance negative and positive consequences – Make sure that both parents have a list of positive and negative consequences to use in parenting. One parent should not be given the role of “enforcer” in the family, even if it is the most comfortable role for them. Don’t triangulate unless asked by the other parent – “Triangulating” means jumping in the middle of a conflict a parent and child are having, without being asked. You might feel like you have a better set of tools to deal with the situation, but it undermines the other parent’s ability to work out a problem to its completion. If disagreeing, openly acknowledge respect toward the other parent’s opinion – Open disagreement between parents is not bad parenting, and if done right, can help model for children how disagreements should be handled. Simple statements such as, “I can see your point, but,” and “I can see why you’re feeling that way. I see it differently,” let kids know that respect and disagreement can go together in the same conversation. Major consequences can be assigned after discussion – There’s no rule that parents don’t have the time to discuss a consequence for a child’s behavior before assigning it to the child. Take a few minutes to agree on an appropriate consequence, and, even more importantly, how to encourage the child to change the behavior next time. Avoiding harmful kinds of disagreement and presenting a unified front leads to the best outcome for children. Achieving that quality of communication with your co-parent is a goal that takes effort, the courage to change, and the realization that you will gain something rather than lose something if you are successful. What Type Of Parenting Style Do You Best Fit? Dr David Paltin is a licensed child and adolescent psychologist in Orange, California. He received his PhD from United States International University. He currently is in private practice and member of the Adjunct Faculty with National University and Columbia College. He is the Author of The Parents’ Hyperactivity Handbook and other professional articles, Dr. Paltin has lectured and consulted on parenting, special needs education, and behavioral health challenges in children. Dr. Paltin appeared recently on CNN’s feature show “Medical Mysteries” and has been profiled for his work with ADHD and sleep problems in children.